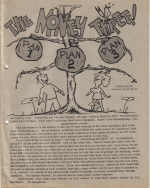 Description: Lew Card of Brea California was one of the real Mail Order giants in 1975-1977... "The Money Three - plans 1, 2, 3" was the basic info for those wishing to make success in mail order. Just reading Lew's Get Rich by Mail, Secrects of Commission Mailing and his other ideas helped most of us to "get rich", make both ends meet, accounts balanced. 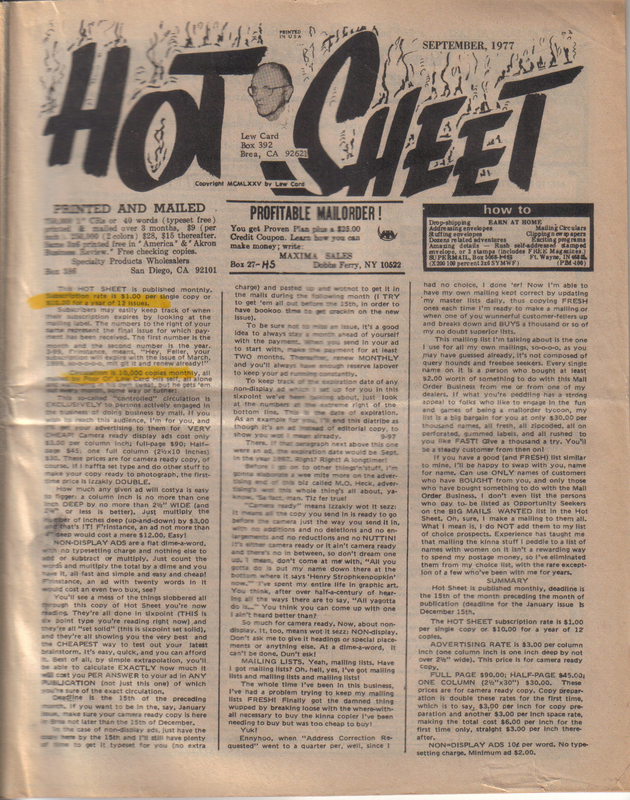 I used to advertise in the Hot Sheet and still have the checking copies from April 1976 (5.000 copies), August 1976 (6.000), September 1977 (10.000), issues 105 (30.000), 106 (30.000) and 111 (30.000). 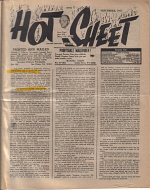 Click the above photo of Hot Sheet, Sept 1988, and you'll be able to read the front page. I heard from a US Mail Order trader that Lew Card died some three years ago.